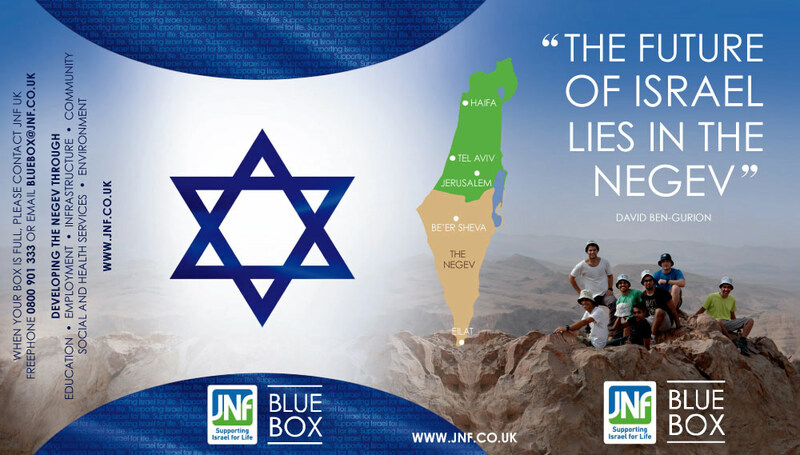 The JNF Blue Box is one of the world’s oldest charity boxes, introduced in 1901. For over a century, money raised in the famed Blue Boxes has assisted pioneers in their efforts to develop Israel’s infrastructure. Having viewed the history of the Blue Box (above), we were given the brief to reinvent the style and move away from traditional layouts. 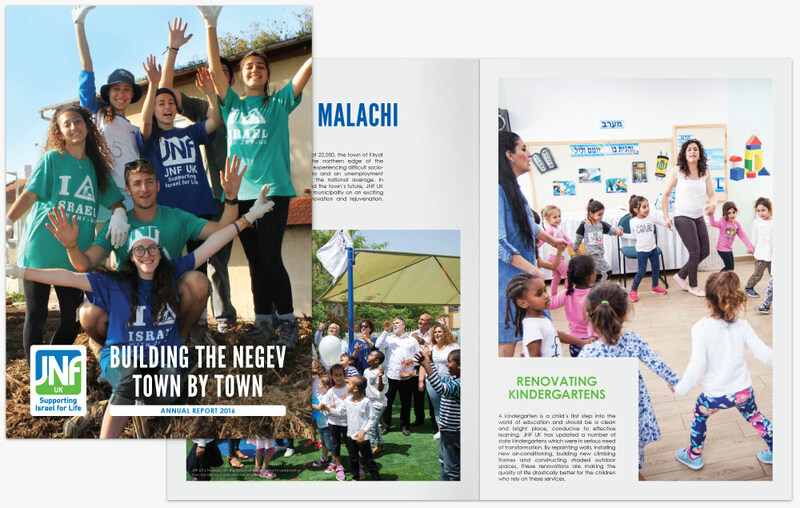 The fresh approach to our Blue Box design highlights JNF UK's current work to build Israel’s future in the Negev desert.